Hello and welcome! Susie here and I am so happy to be re-joining the Design Team at Quick Quotes! 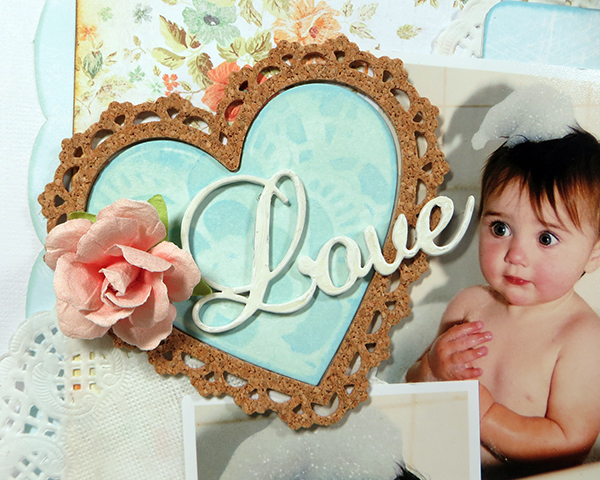 Today I am sharing a layout featuring the beautiful Farmhouse Collection and, just in time for Valentines Day, my little sweetheart! I started with an 8.5"x12" piece of Farmhouse 102. I inked along all of the edges with Desert Sun PowderPuff Chalking Ink. 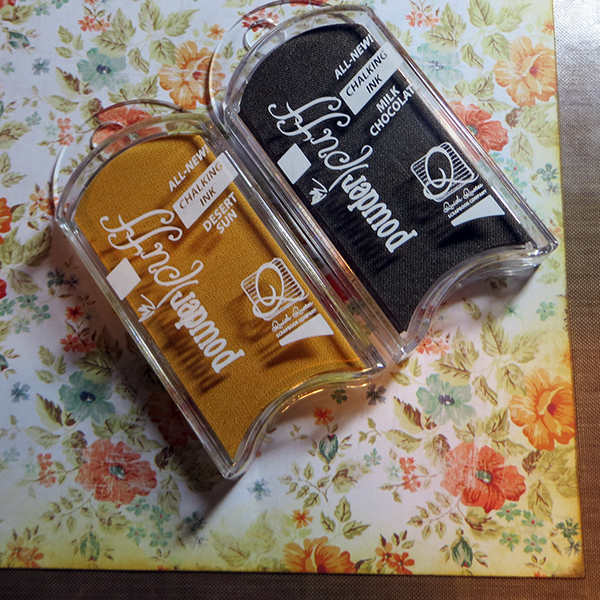 I then very gently wiped the edges wth Milk Chocolate PowderPuff Chalking Ink. I centered it on top of a piece of white cardstock and added scalloped borders cut from Farmhouse 101. I love using PowderPuff Chalking Inks to create custom embellishments for my projects. 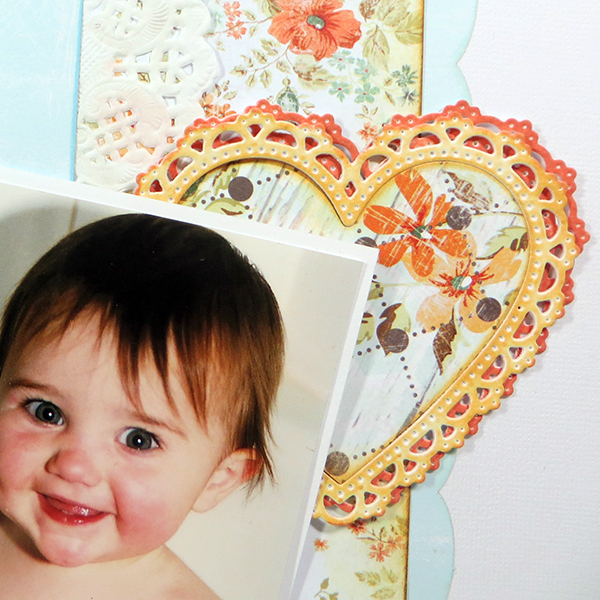 For this layout, I die cut heart frames out of white cardstock, then colored them to coordinate with the Farmhouse paper. Here you can see that I actually layered frames colored with 2 inks - Desert Sun and Sunset. 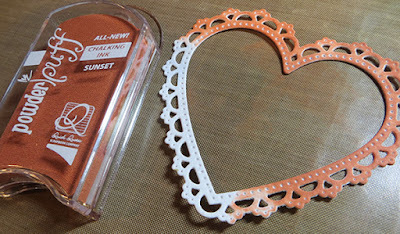 I used the heart die to fussy cut the center from Farmhouse 100. 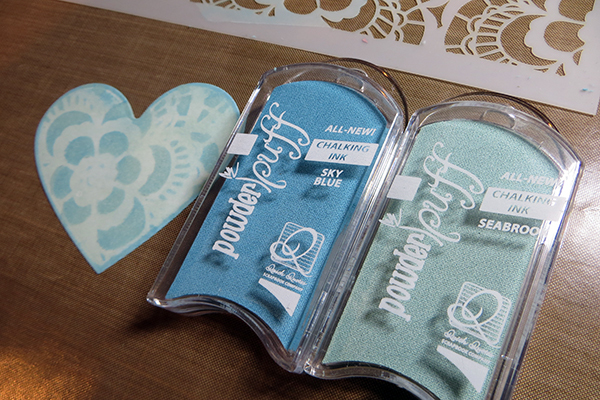 I used 2 different PowderPuff Chalk Ink colors, Sky Blue and Seabrook, to ink and stencil a floral design onto another heart. 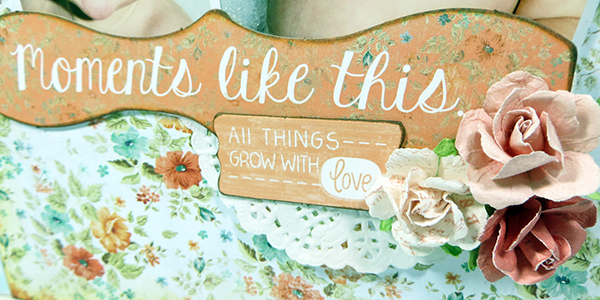 The page title comes from this wonderful element from the Farmhouse Chipboard Die Cuts. I added Milk Chocolate PowderPuff Chalk Ink to the edge before creating a little embellishment cluster with more chipboard, flowers and a doily!